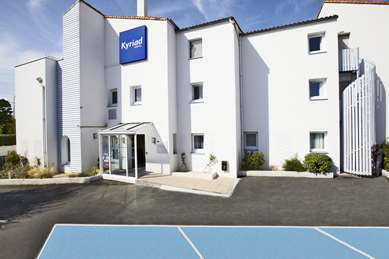 This 1-star hotel, near the large Angoulins beach which gives it its name, has 70 air-conditioned rooms with all the amenities, including shower cubicles with private sink and toilet for 1, 2 or 3 people. All rooms have free unlimited Wi-Fi and a color flat-screen TV. 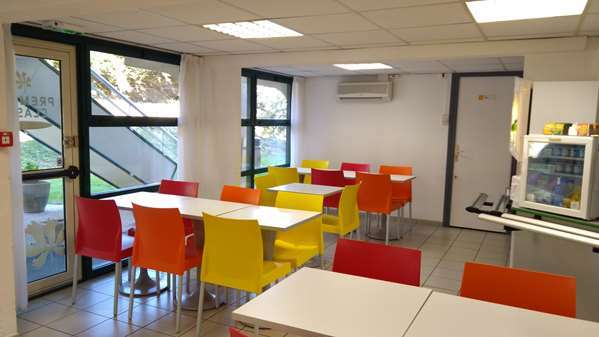 In addition to its modern equipment, you will appreciate its location at the exit of highway N137 and near the La Rochelle TGV train station and the La Rochelle Laleu Airport. 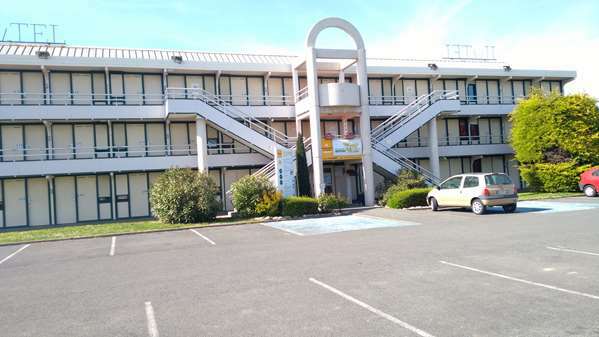 From the highway, you will be just 6 miles from Ré Island, 30 minutes from Oléron Island and the jetty for direct access to Fort Boyard. In July you can stop here and catch the Festival des Francofolies, and in September you can go to the Grand Pavois Nautical Trade Fair. 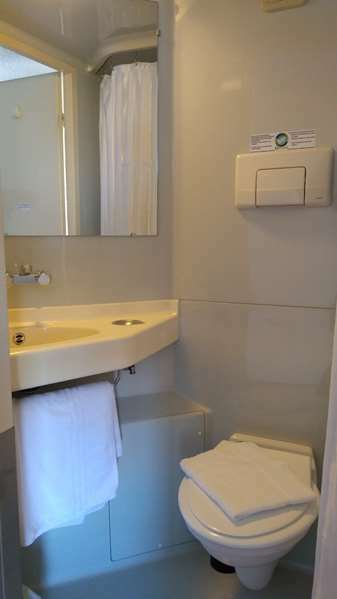 Our 1-star hotel has 70 air-conditioned rooms all equipped with a shower cubicle with private shower, sink and toilet. Besides the flat-screen TV, you can also take advantage of our exclusive Wi-Fi+ service, which is free high speed Wi-Fi connection in the entire hotel to freely surf, chat and view videos at will. 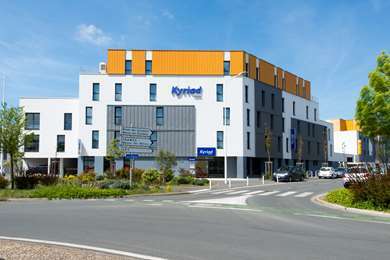 Our hotel offers 70 rooms with 10 T31 rooms (three single beds), 21 double beds and 39 T21 rooms (one double bed and one single bed). 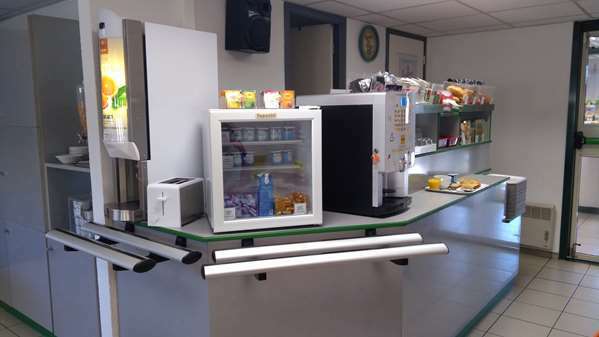 In addition, 3 rooms are specially adapted for people with reduced mobility that are on the ground floor. 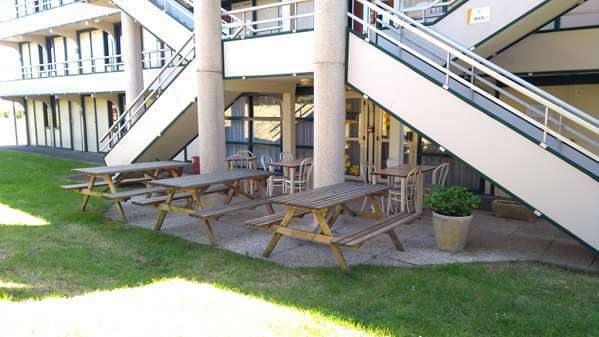 They are accessible by wheelchair access from the main entrance, near the parking lot where there are two disabled parking spaces. 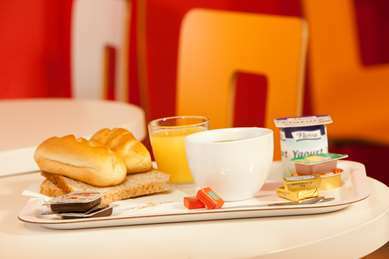 Fill up on energy with the all-you-can-eat breakfast buffet for only €5 at Hotel Première Classe La Rochelle Sud - Angoulins. Children ages 10 and under receive a 50% discount (offer valid for paying hotel guests, up to 2 children per adult). 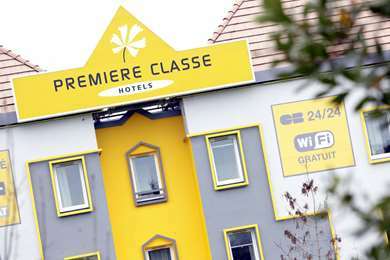 Premiere Classe hotels are clearly at the budget end of the market so you're never going to be spoilt. That said, for a basic overnight stay we found it to be ideal. 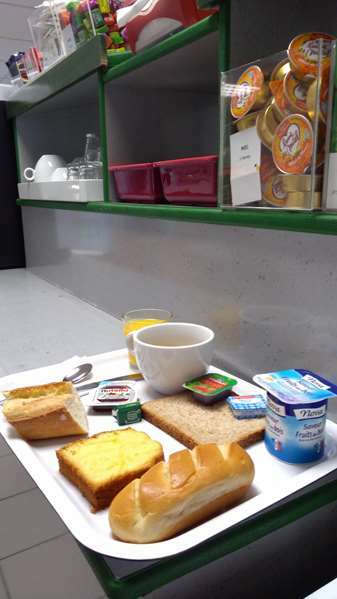 The automated check in was simplicity itself, the room was warm and clean and the bed was comfortable. What more do you need? It is situated out of town but being so close to the main roads is easily accessible. We'd use the chain again without a doubt. 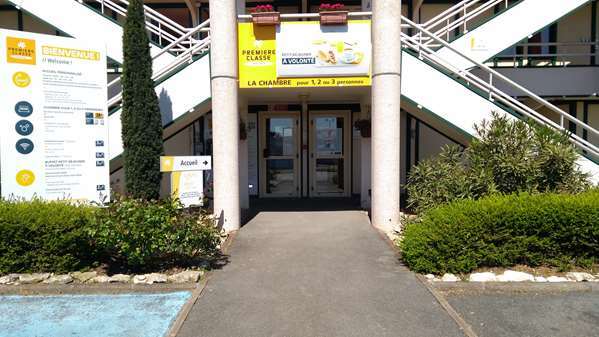 We visited La Rochelle and asked the tourist office to book us a hotel room, they attempted around 5 hotels in the area and were finally able to book us into this one. 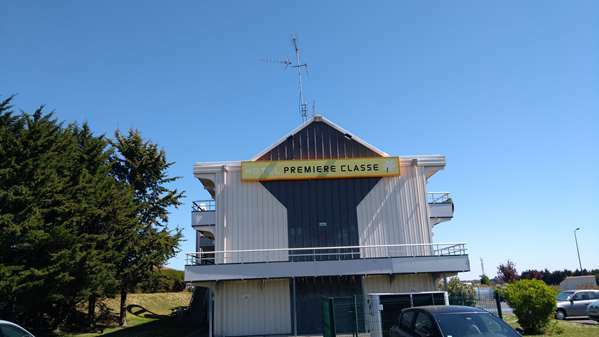 Premier Classe is, in this case, the over statement of the year. 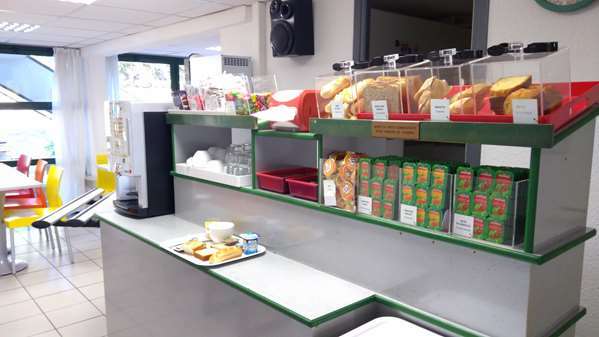 Not only was it located in an exceptionally difficult to find location, but there was nothing around except the restaurant next door (part of the Campanile chain). therefore by the time we located it we were so worn out we didn't want to get back in the car. I would say these hotels are used by contractors in the building trade, in which case they are probably OK.
For tourists though forget it. The room stank of stale cigarette smoke and was very badly outdated. Red lino on the floor which had seen better days, a very odd wall light that resembled a light "sabre"and not in a good way, but the worse thing was the double bed had a single bunk bed over the top of it, so you felt enclosed whilst sleeping. Miles and miles from La Rohelle, it's in the middle of nowhere. 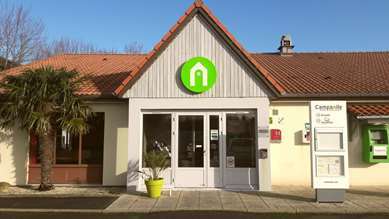 I speak French but the receptionist spoke so so fast. It reminded me of desert on the sunday morning, like a ghost town so i couldn't get a taxi. Please don't book unless you're desperate!